Click here for Nintendo Wii coverage. More than a decade later, the legend returns. 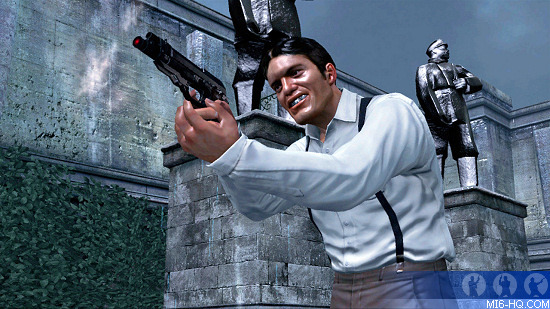 GoldenEye 007: Reloaded marks the franchises long-awaited debut on next-gen platforms. More than simply modernized, GoldenEye 007: Reloaded boasts new gameplay modes beside an enhanced multiplayer experience, all built on a brand-new engine that delivers stunning visuals, gripping combat gameplay, and intense enemy A.I at 60-frames-per-second. GoldenEye 007: Reloaded is a contemporary James Bond experience featuring HD visuals and realistic environments running at 60-frames per second, akin to today's elite action games. Additional to the legendary story campaign, the game introduces the brand new 'Mi6 Ops Missions' - new, distinct levels separate from the campaign that span the varied environments from the story and challenge players to complete different Assault, Elimination, Stealth and Defense objectives. GoldenEye 007: Reloaded also takes multiplayer to new heights, maintaining and improving its renowned four-player split-screen action and adding full, adrenaline-pumping 16-player online matches with more maps, weapons, characters and game modes than ever before. 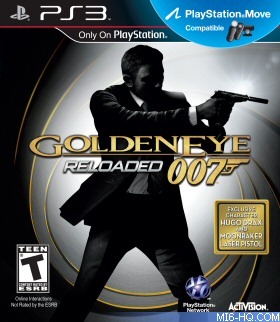 In addition to a complete retelling of the original epic story, GoldenEye 007: Reloaded debuts 11 distinct single-player levels called MI6 ops missions, which span the varied environments from the campaign and challenge players to complete different assault, elimination, stealth and defense objectives. 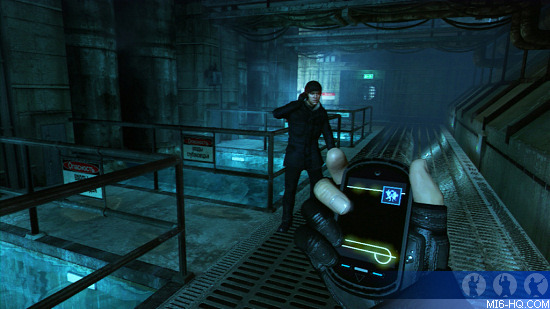 firefight and covert combat styles provide for countless tactical options, while 007 gadgets like Bonds smartphone ensure no enemy intel stays safe. GoldenEye 007: Reloaded redefines the James Bond multiplayer experience by delivering all the legendary game modes players love beside all-new features for fans of all ages. Armed with 30 weapon loadouts, gamers will battle in classic four-player-split-screen and in competitive online play across 14 unique game modes. Online competitive gameplay now boasts 16-player matches. This is Bond, James Bond, with more maps, weapons, characters and game modes than ever before. GoldenEye 007: Reloaded stars Daniel Craig as James Bond in an all-new 007 action adventure authentic to the storyline from the original film. Players can look forward to modernized cinematics from iconic scenes with classic characters. The robust Double 'O' Edition bundle will include the game PlayStation Move motion controller, navigation controller, PlayStation Eye camera and Sharp Shooter peripheral, offering fans pinpoint control as they jump straight into the legendary story campaign and frenetic 16-player multiplayer matches. 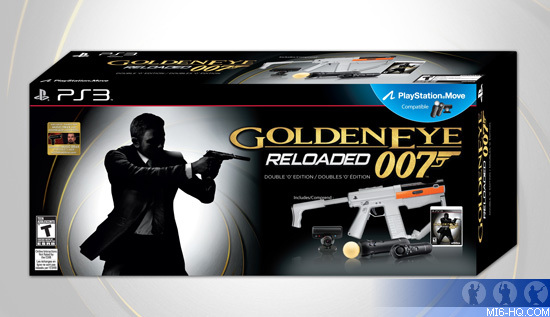 As an added bonus for PlayStation 3 gamers, GoldenEye 007: Reloaded will feature a free, exclusive downloadable character. The notorious villain from the 1979 film Moonraker, Hugo Drax, will be playable in split-screen and online Classic Conflict multiplayer modes while wielding his Moonraker Laser Pistol.